"See yourself through my eyes…" "I have never seen someone so thoughtful and caring…" "I love us. I love how we challenge each other… how our love keeps growing stronger because of all the craziness." 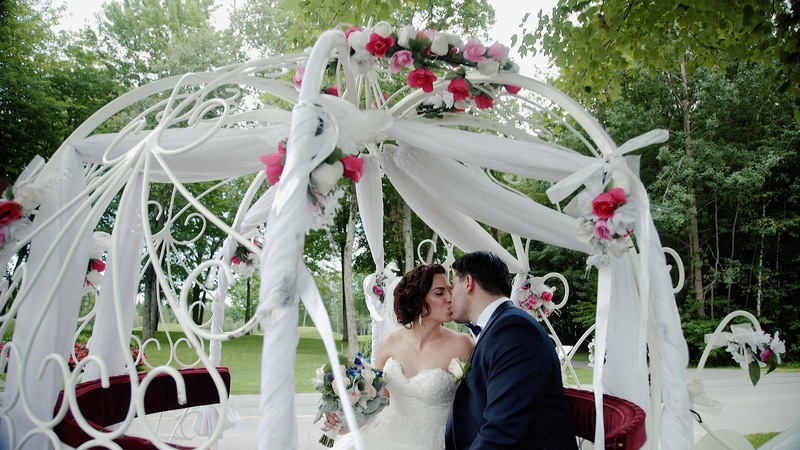 There wasn't anything crazy about Jessica and Maciek's decision to get married this beautiful late August day. It wasn't a Cinderella story, but there was a horse-drawn carriage, and the party carried on long past the stroke of midnight.